While a growing body of research can make the subject of helping students overcome trauma complex, the core of it all is intuitive: When students trust that the adults in the room will keep them physically, psychologically, and emotionally safe, they do better. Research has shown that fostering trusting relationships with adults can help children cope with trauma and focus more on learning. A single traumatic event can have lasting adverse effects on a student’s academic achievement, and when students aren’t given coping mechanisms to help them overcome trauma, they are left feeling unsafe and vulnerable and may resort to aggressive strategies to gain a sense of control of their environment. Escalating aggression, bullying, and fighting in a school is a sign that the students don’t trust the adults in the building to intervene and provide safety. Although the classroom is meant to be a place of learning and growth, it can easily become a source of triggers — loud noises, disruption, punitive authority figures — and changes in routine can cause a student to relive trauma and reopen a psychological wound. We have long known that exposure to traumatic experiences has direct effects on students; we are now learning from recent research that students who simply share a classroom with a peer who has experienced trauma can see their test scores drop by 10 percent. This cascade of negative effects makes it even more critical to equip our educators with the skills and knowledge to foster student-teacher relationships that will make the classroom rehabilitative and help mitigate the well-documented long-term adult outcomes that are associated with trauma. Currently, developing trauma-informed schools focuses on training teachers to manage challenging student behaviors. But equally important is a focus on building relational trust between students and teachers. Students who have been exposed to traumatic events may struggle to trust others, and in the absence of trust, the climate of a school deteriorates, making it harder for everyone to feel a sense of safety and belonging. Fairfield Elementary Academy is a neighborhood school located in one of the higher-crime areas on Chicago’s Southwest Side. The school’s leadership team knew that safety outside Fairfield’s walls was a constant concern for students, but during the 2016-17 school year, they realized that students also didn’t feel safe inside the school. Fairfield was ranked “very weak” in “supportive environment” on the 5Essentials Survey, a project of UChicago Impact — a nonprofit dedicated to empowering educators to use research and data to improve practices that promote a strong school culture and positive student outcomes. “Supportive environment” assesses students’ perceptions of school safety, student-teacher relationships, and the academic standards held by their teachers. Fairfield also had the highest out-of-school suspension rate in its network of more than 30 Chicago public schools. Principal Claudia Lopez was shocked and set out to gain insight into why students didn’t feel safe and supported at Fairfield. She began analyzing her school’s misconduct reports from that year and found that, in many cases, students reported feeling that adults’ responses to student behavior escalated situations to issuing suspensions. Students often felt that the adult who was supposed to de-escalate and mediate didn’t try to first understand why the student acted the way he or she did and then work to find a restorative resolution. The following year, Lopez and her team worked with school staff on building a culture of respect and trust between teachers and students, with leadership coaching and support from UChicago Impact. 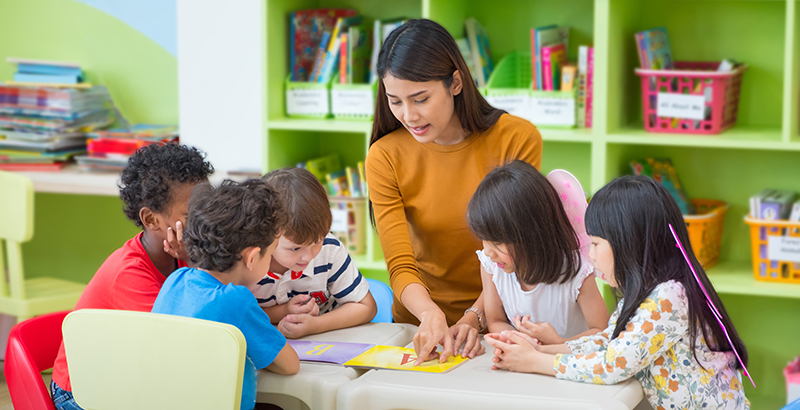 They retrained teachers on relational discipline methods rather than punitive methods and set clear expectations for student behavior in the classroom. While their work to foster a supportive environment is ongoing, the school saw significant improvement in student-teacher relationships and student outcomes that year. The school year ended with the highest attendance rate in Lopez’s tenure, a drastic decline in the suspension rate, and a “supportive environment” score on the 5Essentials Survey that improved by 8 points, while the Chicago Public Schools’ average score declined by 3 points. The school’s score for student-teacher trust also improved by 2 points on the survey, while the district’s average score declined by 3 points. At the Trauma Responsive Educational Practices Project, we’re working to develop the individual and organizational capacity of educators and schools to utilize practices that, like those at Fairfield Elementary, repair rather than damage students’ trust that adults will keep them physically, psychologically, and emotionally safe. As part of this work, we’ve developed resources and education policy recommendations designed to structure classrooms to be rehabilitative. Building trusting, positive relationships with students, especially those coping with trauma, can be challenging. The same actions will not work for every student or every teacher, and it is not reasonable to expect to have equally strong relationships with all students. However, all educators can learn to engage in discipline practices that hold students accountable while maintaining positive teacher-student relationships. By doing so, educators and schools foster the trusting relationships that research has shown help students overcome trauma and succeed. Dr. Micere Keels is founding director of the Trauma Responsive Educational Practices Project and an associate professor in the University of Chicago’s Department of Comparative Human Development.